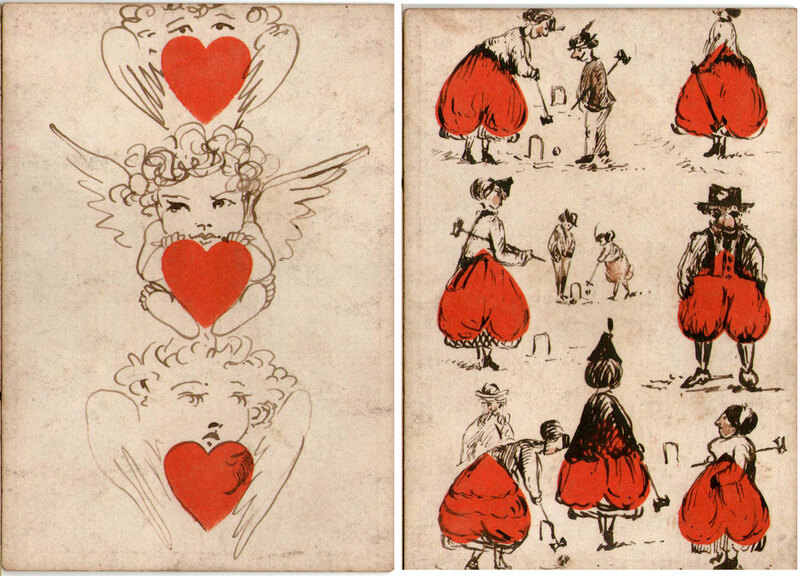 Transformed playing cards hand-drawn with pen and brown ink, with feint colour tints, on a pack by Goodall & Son, c.1870, with a Christmas-themed back design. The ace of spades has the erect feather on the imp’s hat. The following notes are from the current owner: “I believe these cards belonged to my great uncle’s grandmother. Although she was born here in Australia in 1858, her father was born in St. Marylebone, London on April 14th, 1831 and his name was Edwin Octavius Knight. He was the brother of Sir Henry Edmund Knight born 25th March 1833 Lord Mayor of London in 1882-1883. My thoughts are that these cards, based on their date may have been sent to Australia as a gift from the “Knight family” the English relations (maybe as a Christmas gift)”. 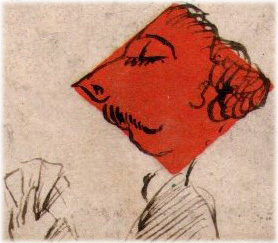 On the other hand, some of the placards on the nine of diamonds , such as “Mr. 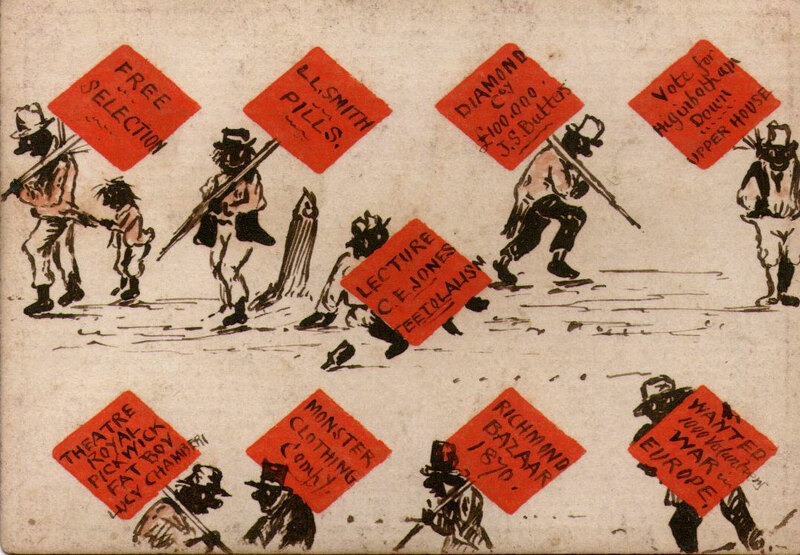 J. S. Butters” (1833-1912), “Free Selection”, “Vote for Higinbotham” and the “War in Europe” probably refer to Australian news issues of the day. The “Theatre Royal”, although not an uncommon name for a theatre, also fits with the Australian theme. When you zoom the scans you see more detail, even more than when you look at the actual cards. 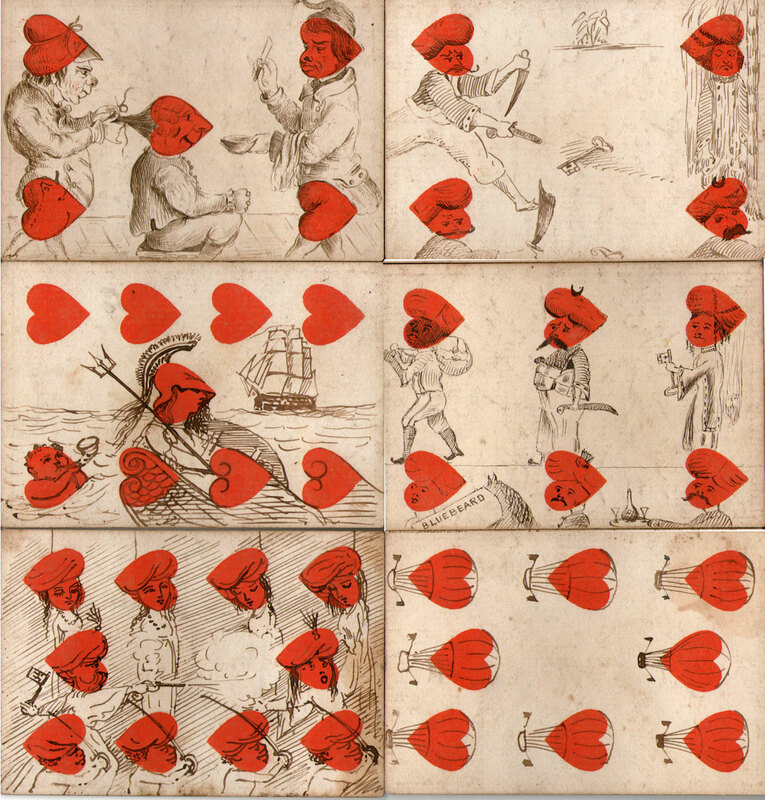 Above: the deck contains only 40 numeral cards, the court cards are missing. The cards are in what appears to be a pigskin wallet, a bit tattered, but it appears to have been made especially for cards. Images and notes courtesy Pauline Tait.